Schwalm Whitework (Schwälmer Weiß­stic­kerei) owes its name to the geograp­hical area known as “the Schwalm” which is . . . 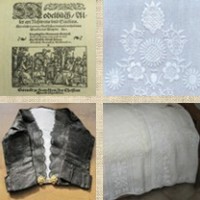 The Schwalm whitework is worked on densely woven (high thread count even-weave) linen. The pattern areas are filled with . . . 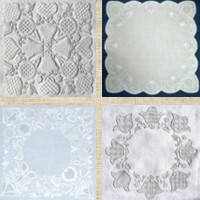 The technique known today as “Schwalm Whitework” (see also: Typical charac­teristics of Schwalm Whitework) originated around the . 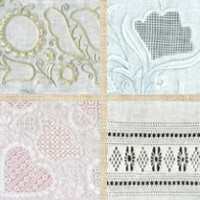 . .
Today Schwalm Whitework is represented in many diverse ways. 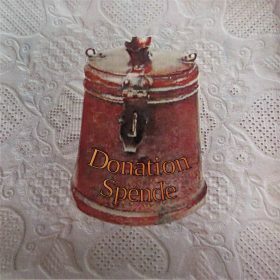 Alexandra Thielmann, Thekla Gombert, Anneliese Grein, Leni Klinge­lhöfer, . . .